Think of the process of acquiring customers for your business as a long road with many exits, several roadblocks and a few billboards for your company along the way. At one end of the road, are the potential customers that don’t even know that your company exists yet. In order to become a satisfied customer of your business, they need to travel along the road, become aware of your business from a billboard or another advertisement, not get stuck by any of the roadblocks along the way and not take an exit off in some other direction. They also have to be won over by the advertisements on your billboard and decide that your company’s product or service should be the final destination on their journey. Given the large number of potential stumbling blocks, there’s a good chance that most people that start off on the road won’t make it to the destination to become your customers. Fortunately, you have total control over the journey that your potential customers take along the road. You can identify and eliminate road blocks. You can change the ads on the billboards that customers use to become aware of your business. You encourage them to stay on the path and avoid any exits. You can even give them special incentives to get to the finish line. The challenge is to identify what’s causing your users to get distracted along the way that prevents them from becoming your customers. When doing the marketing for your business, it’s not always clear whether one component of your marketing material will do any better than a different variation of that same piece of marketing material. Should your button color be blue or orange? Should you charge $9.97 per month for your product or $10.00? Should you include a video tour of your product on the landing page? Should you accept credit cards, or just accept PayPal? Should you do one-time pricing, monthly pricing or annual pricing? The answer is almost never clear. 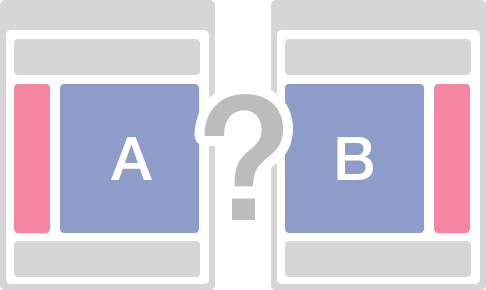 You can make sure that you get the right answer to these questions by running a split-test (sometimes called an A/B test). A split-test is the process of showing half of your users one thing and the other half of your users another thing for a specific period of time and determining which thing performs better. For example, let’s say we want to determine whether or not changing the button text on an email opt-in from “Subscribe Now” to “Sign-Up Now (Free)” will increase opt-in rates to an email list. You would alternate the button text between every other person that sees the opt-in form. After you get enough sign-ups for the result of the test to be statically significant (say, after 200 total signups), you could see which of the two versions of the button got higher opt-in rates. If you showed “Subscribe Now” to 2,500 visitors and got 90 sign-ups and “Sign-Up Now (Free)” to another set of 2,500 visitors and got 110 sign-ups, you would know that “Sign-Up Now (Free)” is a more optimal text to use on your opt-in form because it got opt-in rates that are 22% better than the original text. After finishing that first test, you could test any number of other parts of your opt-in form, such as the positioning of the opt-in form, the heading, the copy, what information you collect, the font of the opt-in form, the colors you’re using, etc. Let’s imagine that we did a series of ten different tests. Seven of them showed no significant difference, but three of them improved opt-in rates by 15%. It would be easy to think that the cumulative benefit of those three successful tests would be 45% (15% + 15% + 15%), but the benefits of split-tests are multiplicative. By improving opt-in rates 15% three different times, your sign-up rate would have actually improved by 52% (1.15 * 1.15 * 1.15). Ideally, you’ll be running split tests at every step of the journey that your potential customers take. You’ll want to test out a variety of different traffic sources to drive potential customers toward your business. You’ll want to test the initial ad-copy that sends a user to your registration page. You’ll want to test the landing page where your users are giving you their email address. You’ll want to test out your auto-responder series or any other marketing emails you use to communicate with prospects. You’ll want spend a lot of time testing your sales page and your check-out pages as well. You can test just about anything on your website to determine whether or not changing it will increase the rate at which your customers sign-up. You should certainly spend a lot of time testing your value proposition (What do my customers get for their money? What features and benefits will encourage them to buy? ), the headline and marketing copy on your sales page, your call-to-action button (text? Size? Location? Color? number of buttons? ), your pricing (one-time or recurring? Discounts? How much? Which payment methods will you accept? ), your order form (what information do you need to collect?). You’ll start to see diminishing returns on your tests after a while and many tests simply won’t work as well as the copy you already have, but the few tests that do perform well will make a significant difference in your business. 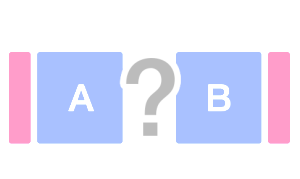 If you’re looking for an extensive list of different things you can split-test, Optimizely has published a list of 71 different things you can split test on your website (http://blog.optimizely.com/2013/04/30/71-things-to-ab-test/). You might say, well, that sounds great, but I have no idea how to run a split test. In the past, you might have had to hire a software developer to implement split tests on your website and track the results. Fortunately, there are now software tools like Optimizely (www.optimizely.com) and Visual Website Optimizer (visualwebsiteoptimizer.com) that make setting up split-tests on your website dead simple. Optimizely and Visual Website Optimizer provide point-and-click tools that will allow you to create variations of your website, automatically serve them to different users and track the results to see which variation most resulted in your desired outcome. If you don’t currently have a split testing strategy for your Internet business, you’re leaving money on the table. By running a series of split tests on every part of your prospective customer’s journey on the road to becoming your actual customer, it’s entirely feasibly to double or even triple the percentage of people that make it through your customer acquisition process. When I first started my investment newsletter business, I had a single opt-in box at the bottom of each article and was getting between 500 and 800 visitors per month depending on traffic. After running three years of tests on the various opt-in mechanisms I use to collect email addresses on my website, I’m now regularly getting 5,000 to 8,000 email sign-ups per month. Granted, the amount of web-traffic I’m getting has increased by 250%, but the opt-in rate to my newsletter has increased by more than 400% since I first started collecting email addresses. That means there’s four times as many people getting my free email newsletter, four times as many people getting marketing material for my company’s premium products, four times as many people ending up on one of my landing pages, four times as many people buying products and services from my company and four times as much revenue. That’s real money.